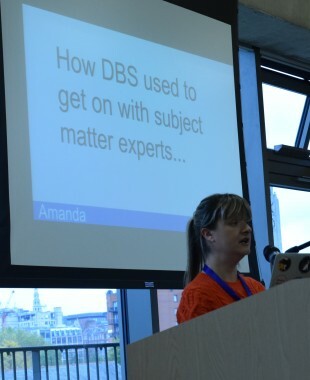 In this guest post, Amanda McMahon of the Disclosure and Barring Service (DBS) talks about working with subject matter experts (SMEs) to improve GOV.UK content and user engagement. Towards the end of last year, I started thinking about improving content on GOV.UK, and how to make it the channel of choice for users. But what about our SMEs? They are often the first point of contact for our users and understand their needs well. User needs and information can change on a regular basis, so it’s important that digital managers and SMEs have a close relationship to understand when this happens and why. I started by chatting to SMEs, asking for user feedback about our processes and how they think GOV.UK can be used to help them meet the needs of their users. It also gave me the opportunity to explain how users respond to websites and why we use plain English. This two-way collaboration process was really useful and we all learnt a lot from each other. As this all came together, we improved content for the users. For example, I worked with our SMEs to apply GOV.UK style to draft a new a piece of guidance. When it was added to GOV.UK it got positive feedback from users and it’s now a popular piece of content. This shows SMEs that what we do with their direct involvement has real benefit to the user and the department. I wanted to move digital up on everyone’s agenda and build the positive buzz of using GOV.UK to meet needs, so I set up a ‘Digital forum’. The idea was to get everyone in a room and start talking about needs and trends that we spotted. I also used our GOV.UK analytic reports as a discussion point, showing SMEs what was happening and figuring out why. For example, we see very obvious page view increases when schools, colleges and universities reopen after summer holidays. Knowing this means we can encourage users to go straight to GOV.UK, relieving pressure on the SMEs that need to interact with users. This led into exciting discussions about user insight, why we write the way we do for GOV.UK and how the digital manager can support SMEs in their roles. It’s given us time to sit together and advise each other on our areas of expertise. From this we’ve learnt to keep the user need at the top of our list. As digital managers, we can often come across resistance to change, so by working together on certain wording, or suggesting more appropriate channels of communication, we can keep SMEs engaged, encourage two way feedback, and ultimately do the best thing for the user. SMEs now have a better understanding of the Government Digital Service and digital transformation, and that means they can take an active role in supporting us. They're also working on improving their skills to write for GOV.UK from materials and guidance I’ve shared at the Digital forum. They’ve given me a better understanding of our specialist user needs, which has helped me lead the redesign of some of our most complex information. This work is ongoing and we hope to publish new user friendly detailed guides by the end of the year. The discussions and insights have given us some real actions to improve our user experience and encourage digital by default. All of this working together has been an empowering process for the SMEs and me. It’s created better working relationships, closer collaboration and, more importantly, the ability to focus on user needs. Amanda McMahon is Digital Content Manager for the Disclosure and Barring Service (DBS).